Are you ready for Valentine's Day? 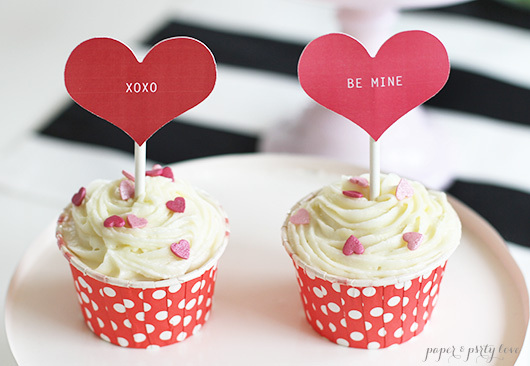 How about celebrating it by making cupcakes just for two? I found a recipe that lets you make cupcakes using only one bowl, doesn't need a mixer, and makes just enough for two delicious cupcakes. I used baking cups and didn't even have to drag out the baking tin. Easy-peasy and feels special since there are only two. 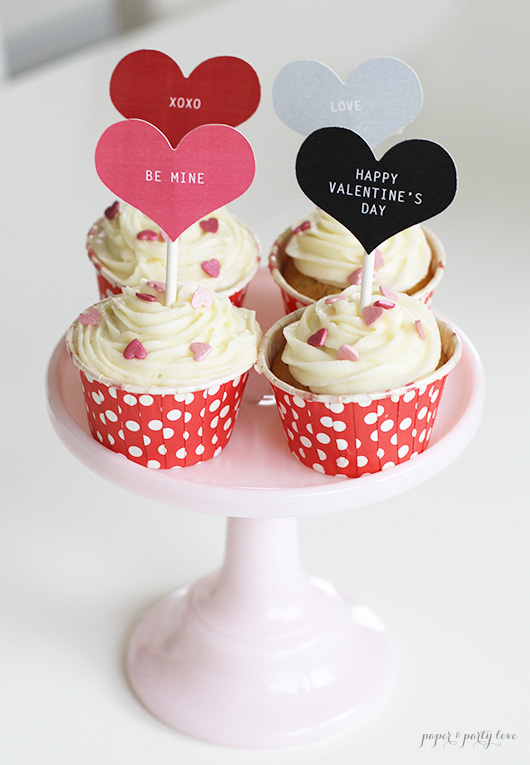 To help you celebrate Valentine's day, I am sharing the printable cupcake toppers that you see in the pictures (for free!). You can download them here. Enjoy!